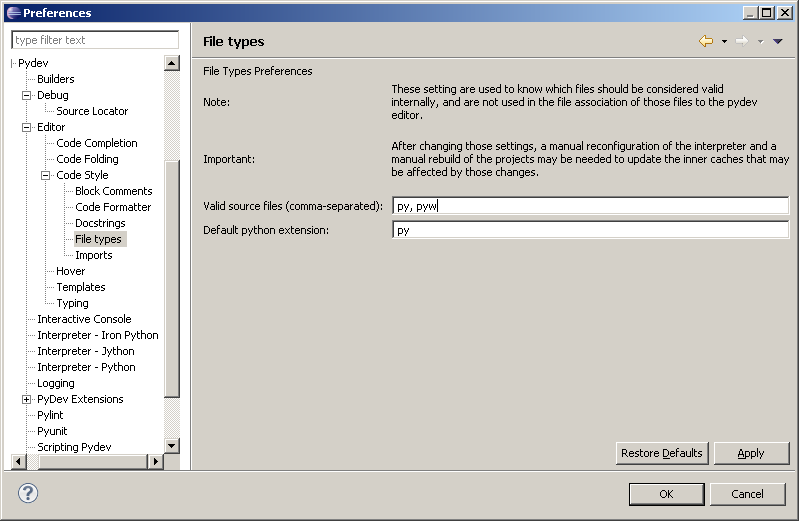 The options in the preferences should be self-explanatory, so, they're only briefly detailed here, but if you don't understand one, please ask in the users forum (so that the spelling of the option is improved). 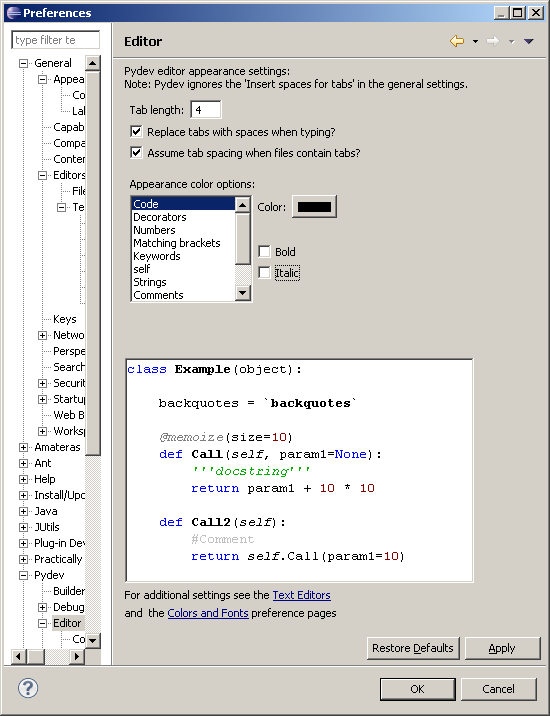 (such as the code color, decorators, numbers, strings, comments, etc). It's important to have in mind that many preferences, such as print margin, show line number, background/foreground colors, etc. 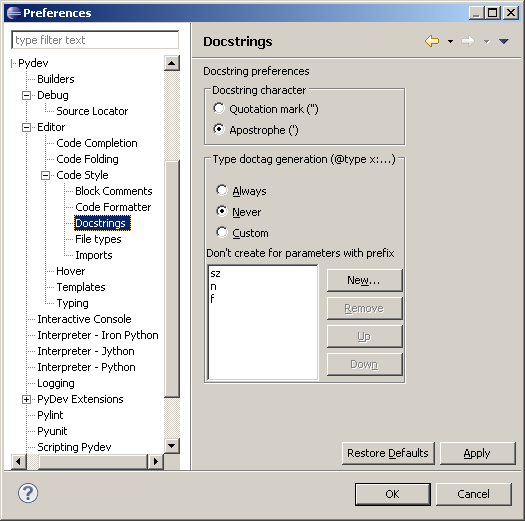 are inherited from the text-editor preferences at general > editors > text editors, and some other preferences are at general > appearance > colors and fonts – there's a link for both at the end of the preferences page. 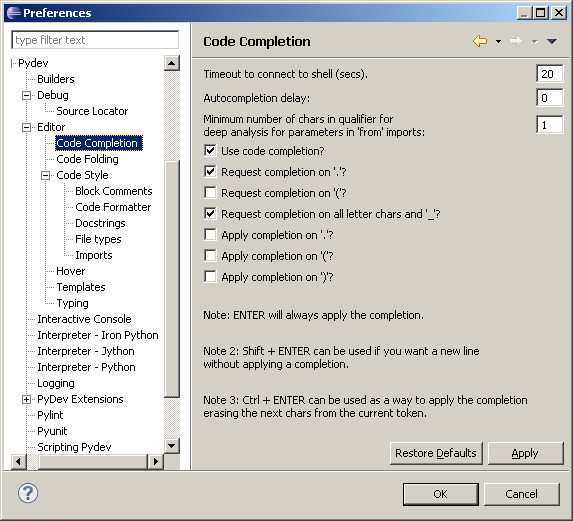 In code completion preferences, configure how you want the code-completion to work. 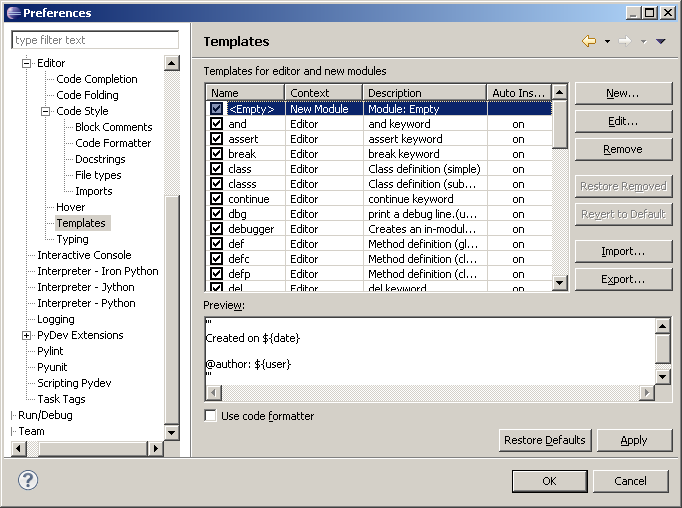 Code-folding: new editors will have it applied. 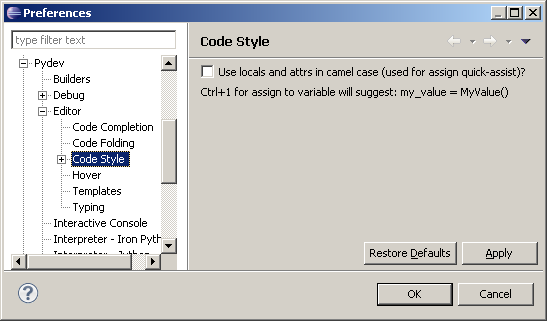 Code-style: Choose how you want the assign to variable quick assist assign to work (Ctrl+1): with camel case variables or variables separated with underline (an example is shown when you change it). Block comments are comments formatted in a special way. 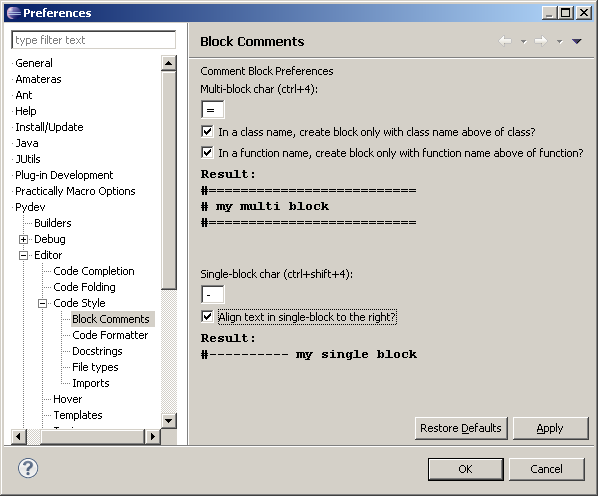 An example of applying the block comment is shown (2 types of block comments are available: a multi-line and a single line comment). 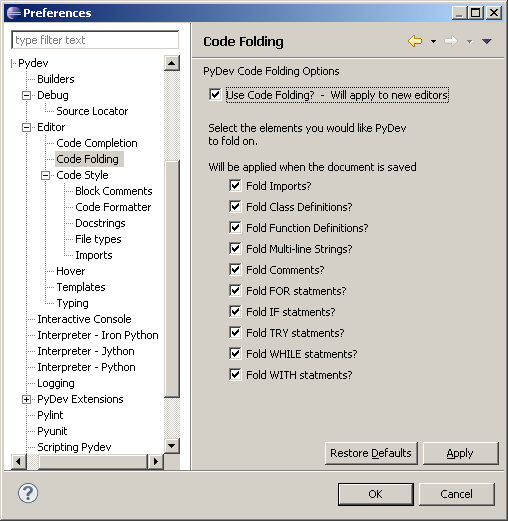 In the code-formatter preferences page, you can choose different ways of having your code formatted. 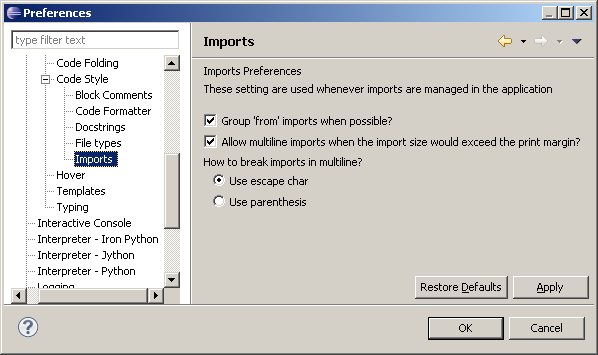 Ctrl+Shift+O can organize the available imports (when no selection is done – if done over a selection it'll do a regular text sort over the selected text), and those preferences indicate how the available imports should be organized. 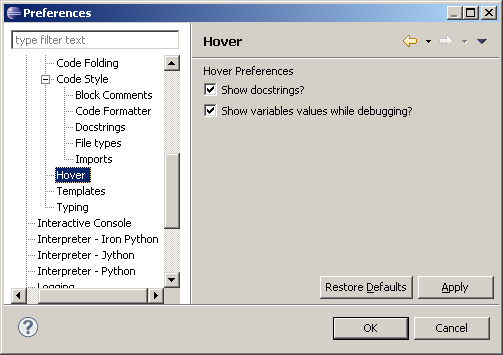 What to show on the mouse hover? 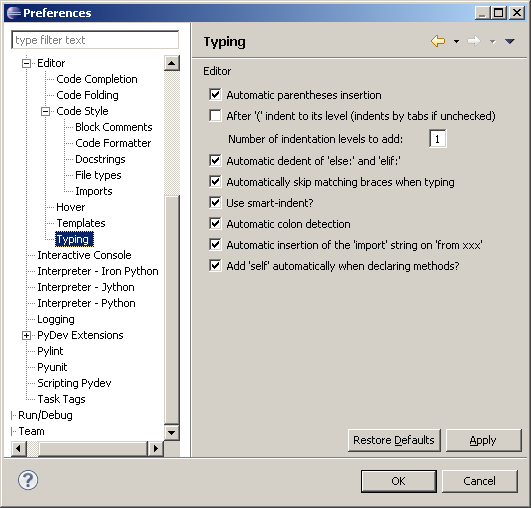 The typing preferences indicate what should be automatically entered when you're typing text (e.g. 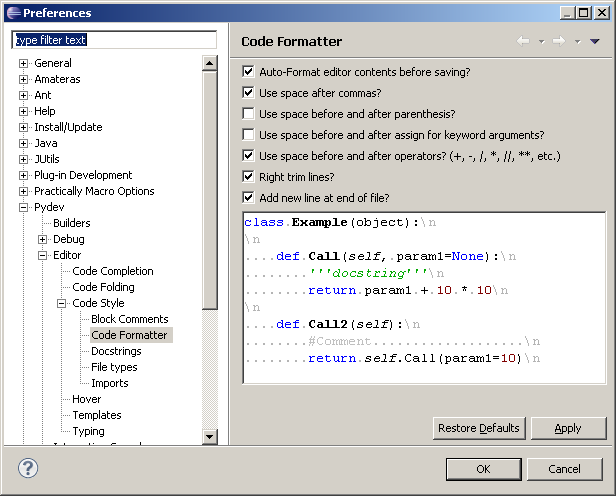 : automatic parenthesis, smart indent, etc).